Exclusive Knee Action Design lets the awning flex in moderate winds to avoid damage. 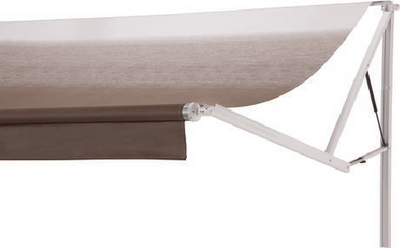 Monochromatic, stylish, rounded rafter arms resist bowing and warping. Designed to install above a slide out.